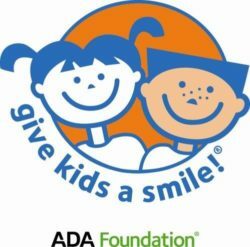 FSC’s Department of Dental Hygiene is hosting the 12th Annual Give Kids A Smile event on Friday, 2/22, from 10 a.m. – 3 p.m. Children ages 1 – 17 and their parents are invited to visit the Dental Hygiene Care Center in Gleeson Hall, to receive free oral screenings, dental cleanings, fluoride treatments, sealants, and oral health education, provided by dental hygiene faculty and students. Give Kids a Smile is free, but appointments are required. If you know a child who needs dental care and education, call 631-420-2534, 9 a.m. – 5 p.m., through 2/20. A parent/legal guardian must accompany the child to their appointment. A speech pathologist will be on hand, and students from the nursing program will provide blood pressure screenings for parents. Students and faculty from the medical laboratory technology department will demonstrate proper hand-washing techniques for adults and children. Give Kids a Smile, sponsored nationally by the American Dental Association, was developed to provide children with access to preventive dental care. Approximately 200 children, parents, and volunteers are expected to attend. Local sponsors include Henry Schein, Colgate, and Dexis.